Here’s a pattern I came up with after watching an episode of Knitting Daily talking briefly about creating an “after thought thumb”. If you don’t know what that is…it will rock your knitting world! Ok, maybe not that extreme. 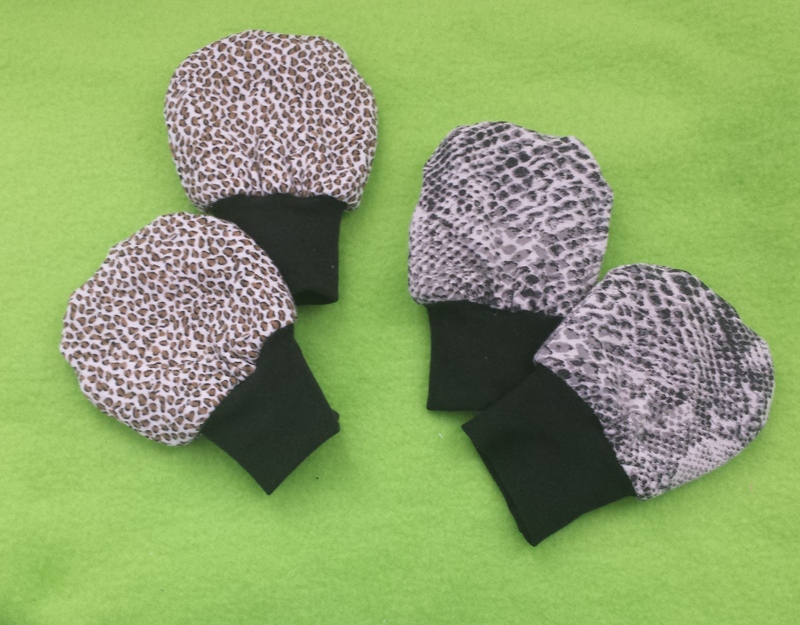 Let me just say this, it will offer you an opportunity to make gloves and mittens without having to have 10,000 needles on your work, wonking up the pattern, and alleviate worries about such words like gusset. Hurry up and make these because texters gotta text. My friend’s daughter just celebrated her 7th birthday! She mentioned once that she wanted clothes for her doll, but then changed her mind and said she’d like a gift card to one of her favorite clothing stores. And then she changed her mind again. She hasn’t decided what she wants to do in terms of a party either, much to her mother’s dismay. So when she does, I want to be ready. Ahhhh, to be a 7 years old again! I made these two outfits for her doll. I found the straight skirt pattern from Day Dream Doll Boutique. Recognize the fabric? 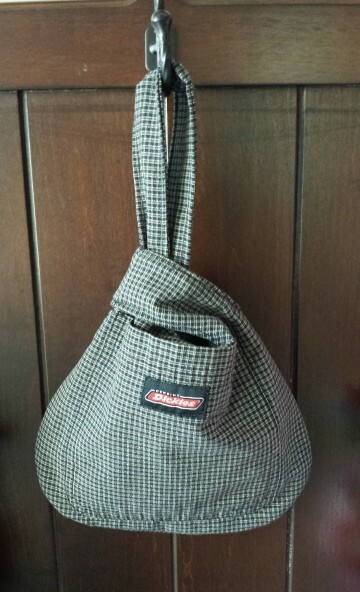 It’s leftover scraps from the up-cycled men’s button down shirt into a Japanese knot bag I did a couple of weeks ago! I also made a door latch cover with it. I’ll save that for another post. 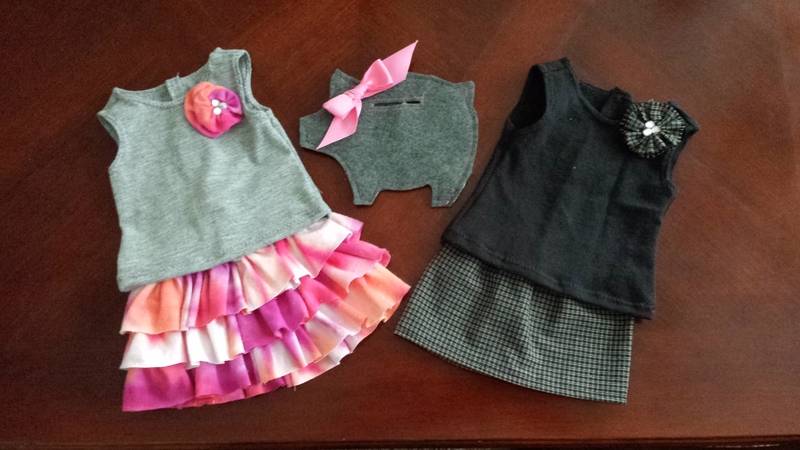 The ruffle skirt was from a youtube tutorial from pinkiepinkgirl. Her blog is http://www.18inchdollclothesz.com. She was featured in Sew Mama Sew so you know she’s legit! The fabric is left over tie dyed T-shirt that was incorporated into a T-shirt quilt for my niece. One of these days, I’ll write up a post on it. The tank top pattern came from Liberty Jane Patterns. The fabric is also left over t-shirts from previous t-shirt quilts. I made little removeable flower pins and then hot glued some rhinestones on them. I’m sassy that way! The felt piggy bank is from Dream A Little Bigger. This blogger gal is super rad at what she does. “Rad” just dated me, didn’t it? She is super crunk. How’s that? The entire project cost me FREE dollars! Now I can fill the piggy with some real dollars and she can do what she wants with it! What projects have you made as gifts that cost you nothing to make? If you recall my post about the Japanese Knot bag I made using a men’s button down shirt, I mentioned that I had bought the shirt along with a men’s striped t-shirt and a pair of camouflage pants. Well, here’s what I decided to do with the shirt! It’s so ridiculously easy, that I’m almost embarrassed to write about it. But you know, sometimes, the easiest things have the biggest impact. So here’s how you can make your own. T-shirt – This is a men’s size medium. I wear a women’s size medium. If you want a looser skirt, opt for an XL or a size appropriate for your body shape. Not sure what size is right for you? Measure the circumference around the shirt where the armpit is. This needs to be bigger than your waistline. 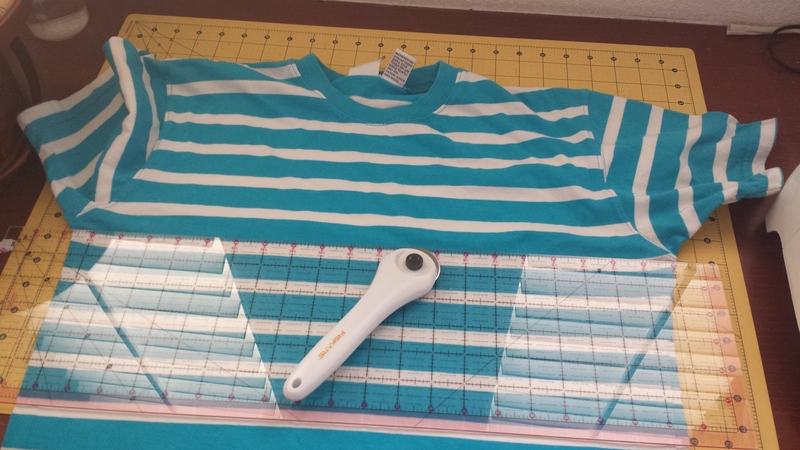 Then measure from the bottom of the armpit of the shirt to the bottom hem. Take that number and subtract 1.5 inches. This will be the length of your mini skirt. If those numbers jive with your waist and how long you want your skirt to be, then you have the right shirt! Congrats! Elastic – Enough to go around your waist or just below your waist. I like my skirts to hang a little lower than my belly button. Now let’s make it! This process is very similar to the tube top I made last June. First cut the t-shirt across from armpit to armpit. Then sew your elastic together. Before you do that though, take your waist measurement and subtract by 1.5 or 2 inches because you don’t want your skirt shifting. I recommend overlapping the elastic and zigzagging both ends. 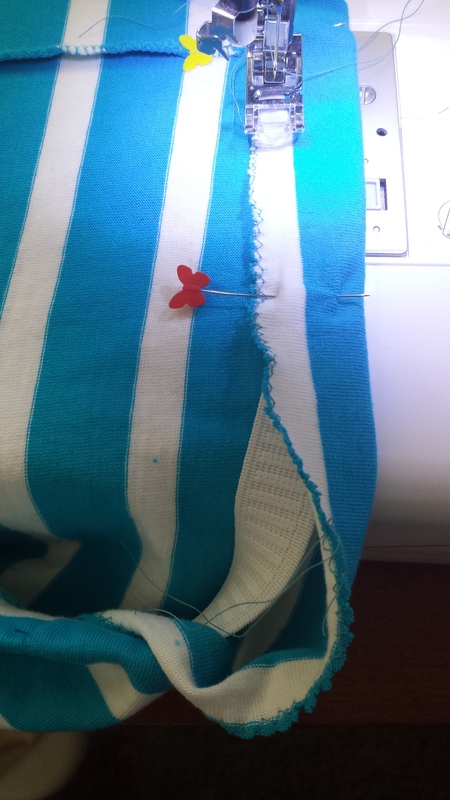 If you have a serger, serge the raw edge. Otherwise zigzag it. 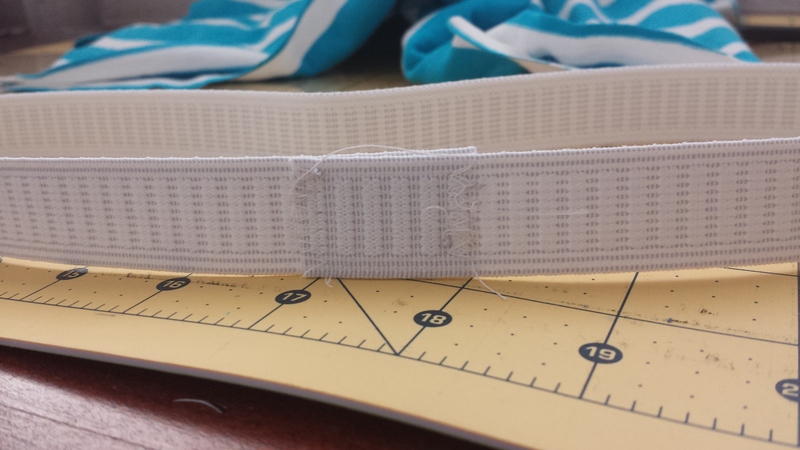 Then take the elastic and sew in a casing of about 1.5 inches. Pin every few inches to be sure that your casing is even. Ta da! All done! Wear that sucker with a cute top and accessorize like nobody’s business! Grumpy Cat is the latest fav meme, right? Or am I a year or so late with that one like I was with the Angry Birds thing? 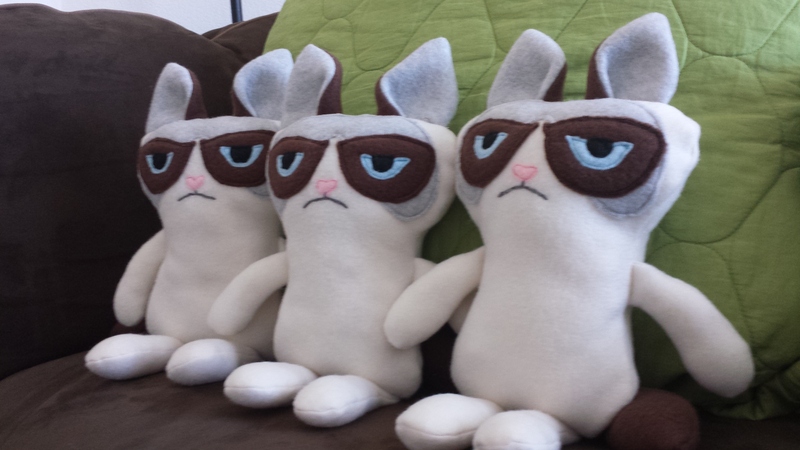 My younger begat saw a Grumpy Cat plushie at Michael’s last week and was all over it! Knowing my plushie making skillz, he asked me to make one for him. 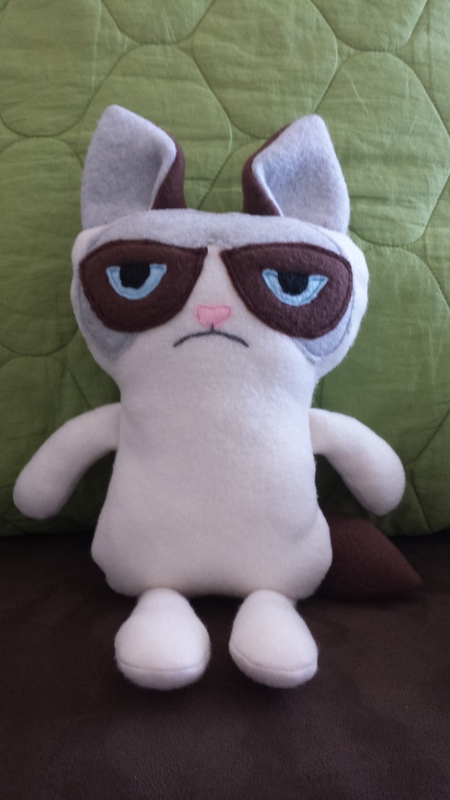 I told him the Grumpy Cat was going to look more cartoony if I made one and not like the one at Michaels. That notion didn’t phase him. As soon as the older begat heard I was making his little brother one, he had to have one, too. And oh, please make one for the cousin, so she doesn’t get left out. On a side note, in a prior post I mentioned that I am not good at conjuring up something from nothing. That isn’t entirely true. I misspoke. But it’s not like I’m the President, or Ben Bernanke or Kanye. I mean really, what I say won’t change immigration laws, sway the economy or trend on twitter. So dare I restate that I CAN conjure something from nothing sometimes? I do. However, I feel more comfortable if there is a pattern or something I can use as an example in order for my project to come to fruition. A lot of my creations are inspirations from others and I’ve put my own flair or adjusted them to suit me. Out of my comfort zone I went! With that being said, this is how I put together this little grumpy critter! 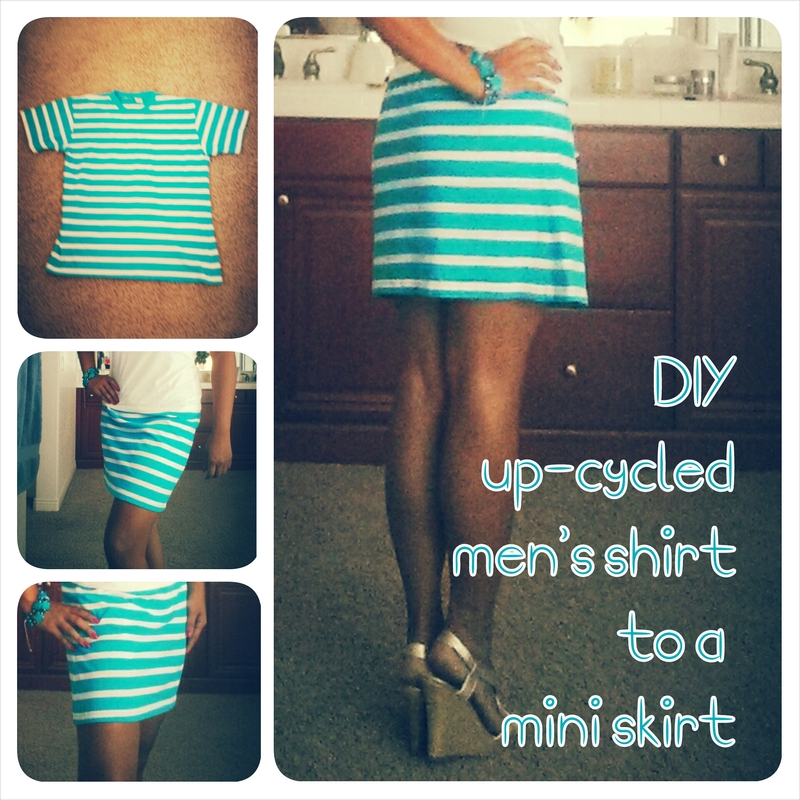 I love a good DIY project especially if it involves upcycling! 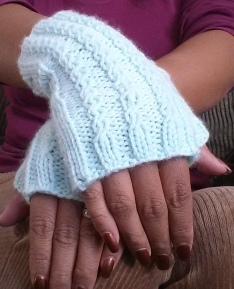 My sister mentioned to me that her little ones’ hands are too petite for the scratch mittens that she has. By the end of her nap, one of them inevitably falls off leaving her perfect little face vulnerable. What to do? For some reason, my younger begat has a renewed obsession with all things Angry Birds. 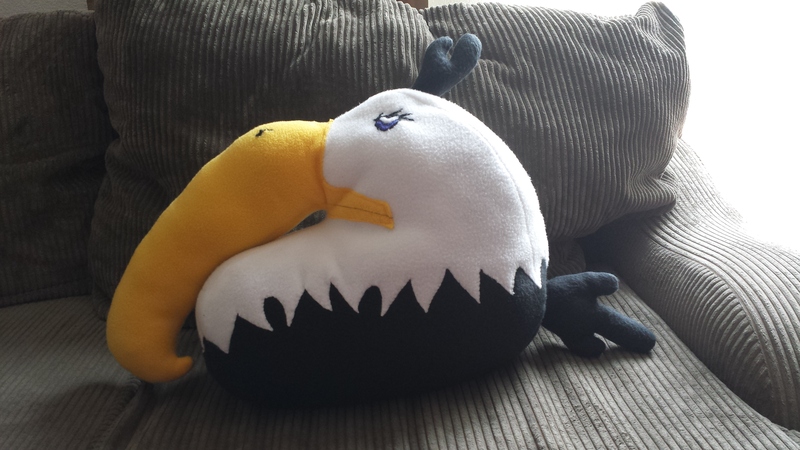 He said he wanted the Mighty Eagle stuffed animal for Christmas just about a week ago. It is the middle of July. He is very goal oriented! So, on a whim I took a look at this Mighty Eagle he is occupying his mind with. These suckers are going for upwards of $900 on eBay! Shut the front door! Does it come with a diamond ring? Does it come with a deed to an acre of property in the Florida Everglades? Is it signed by John Lennon? I thought the Angry Birds thing was done! Maybe it is. Just not for my kid. I told him I would make one. Surely there is a pattern out there. I’ll just take a look on Pinterest or google it. I would even pay for a pattern if I needed to. AND I never pay for patterns. Not a single one. ANYWHERE! In ALL of the interwebs I could not find a pattern to save my life. Check out my new little bag! Cute, huh? I love the Dickies pocket. It was a bit of a pain in the apple to construct though. More on that in a minute. So a little about the shirt. Last labor day weekend, the begets and I went to a street fair in the old town section by where we live. There are a bunch of antique stores and vintage shops all over the town circle. A thrift shop caught my eye. Well, actually the guy yelling out the door “Everything’s a dollar!” was what got my attention. I bought this button down shirt, a pair of men’s camo pants, and a striped t-shirt all with the purpose of upcycling each item into something life altering.